Dawson Creek is home to the famous “Mile 0” of the Alaska Highway. 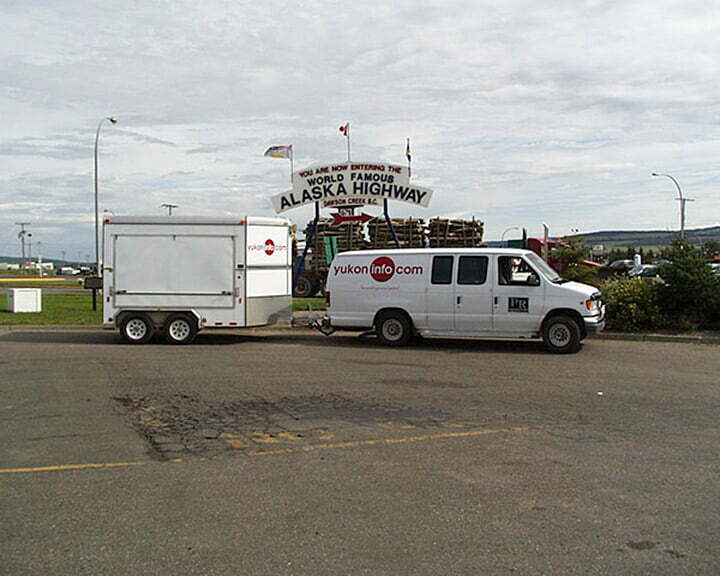 It provides a gateway to the Alaska Highway, the only major road that connects Northern BC, the Yukon, and Alaska to southern Canada and the lower 48° states of the United States. Dawson Creek’s history is closely tied to the history of the Alaska Highway. Prior to 1942, Dawson Creek was a small northern community of about 600 people, most of whom were homesteaders and farmers. After the Canadian and U.S. governments announced the plan to build the Alaska Highway, hundreds of U.S. Army personnel arrived in Dawson Creek to start building the highway. The population boomed to around 10,000. The highway was completed in a record 8 months, and the population and economic growth continued in Dawson Creek well after the highway’s completion. Today, Dawson Creek offers travelers a variety of amenities, including accommodations, groceries, museums, attractions, special events, travel tips, and, of course, the world-famous Mile Zero Sign at the beginning of the Alaska Highway.